Harvard College needs no introduction—its name is synonymous with prestige in higher education. This alone can account for the extremely low acceptance rate, which was just 5.2% (out of 39,000 applicants) for the Class of 2021. 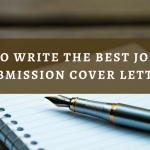 But there is a way that applicants can improve their chances of getting into Harvard, and that is to write a stellar personal essay. 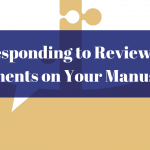 When applying to Harvard, you are given the opportunity to include supplemental essays to showcase anything you feel was not adequately conveyed through your Common Application or Coalition Application essay. 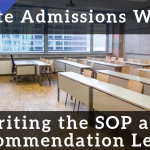 While Harvard’s admissions website indicates that including this essay is “optional,” almost all advisors will strongly encourage you to submit as much information about yourself as you can. Perhaps the fact that over 85% of the Harvard Class of 2017 wrote a supplemental essay might convince you just how important it can be. Harvard’s prompt is notoriously open-ended, and every year applicants find themselves struggling with exactly what they should put in their essays to impress the admissions committee. The 2017-2018 supplemental essay is no different. But because Harvard seeks students who are independent, creative, and self-motivated, this open-ended quality makes perfect sense. This essay is essentially a blank canvas on which you can paint some fascinating aspects about yourself in vivid color. 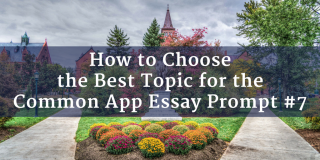 When looking over the prompts, consider which one will allow you to write about an aspect of yourself that you didn’t portray in other essays you have submitted. Do not choose the same event, experience, passion, ability, interest, or talent that you used for the Common Application. For instance, if in the Common App essay you wrote about your love of reading and described some of the books you have read, do NOT choose the Harvard essay about “A List Of Books You Have Read During The Past Twelve Months.” Similarly, if you already wrote about your experience backpacking around Asia last year, choose a different Harvard prompt than “Traveling Or Living Experiences In Other Countries.” No matter how profound or life-changing your experience was, writing about the exact same topic or experience is redundant and will not add to the depth of character you need to convey. 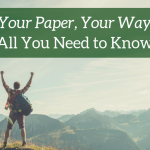 Zooming out, not only should you choose a separate topic for your supplemental essay, you should consider choosing an entirely different perspective as well. If your Common App essay is about a past experience, choose the Harvard essay that asks about your future plans. If the first essay is about your impressive abilities, focus the second on how you overcame a challenge or deficit. If in the Common App essay you have discussed your love of organic chemistry, write in the Harvard essay about your weekly volunteering at the local homeless shelter. In other words, deepen the picture you present of yourself. Show how you live (and flourish) in many dimensions! The one guiding philosophy you should follow in the Harvard essay is to stand out from the crowd. 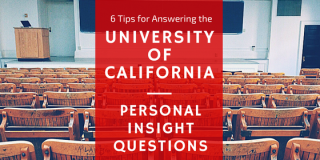 Do not think of it as a chance to merely remind the admissions committee about what you have accomplished, to list more details about your stellar academic record, or to brag about some outstanding marker on your resume. You have to dig deeper and WOW them in order for you to stand out in their minds. Remember to always SHOW your sincerity, your attitude, your excellence in your admissions essays—do not merely TELL about it. You can achieve this by focusing on actions, by using lots of verbs, and by including a great amount of details and examples as you describe your experiences. If playing the piano profoundly affected your sense of what “work” means to you, do not merely write, “Practicing all the time made me realize how working hard pays off.” Show this correlation between effort and understanding of work via anecdotes and details. Here is what showing looks like: “Three hours of straight practice a day in our windowless basement, six days a week perched upon a hard wooden bench, aching fingers on the keys, nothing between myself and Chopin but willpower and concentration, the haunting sounds of the hammer on the strings my instant reward for uncountable days and years of effort—all of this flashed through my mind on Jun 19, 2016, as I took the stage for my first Tanglewood recital.” A detailed anecdote full of action makes it much easier for a reader to accept your assertion that playing piano profoundly affected your life. Readers can trust the feelings and positions you explicitly state only once you have proved them with examples and details. 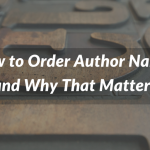 With these institutional objectives in mind, you should focus on how you can best illustrate your curiosity, your potential for growth and greatness, in your essay. Do this by conveying your passion, and show how your passion drives your potential to contribute to worthwhile advances in society. 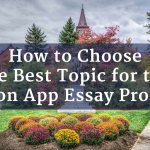 One way to accomplish this in the essay is to choose a prompt that emphasizes your ambitions or even your plans to use your education. 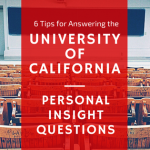 Consider responding to a prompt that explicitly mentions Harvard, or to one that asks “how you hope to use your college education” and become a “citizen-leader.” These provide a great opportunity to showcase those personal attributes that fit the mold of the desired Harvard student. 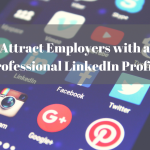 Another aspect to keep in mind is that Harvard is interested in enrolling people who are genuinely good, in addition to being intelligent, talented, or ambitious. The final line of their mission statement reads: “From this we hope that students will begin to fashion their lives by gaining a sense of what they want to do with their gifts and talents, assessing their values and interests, and learning how they can best serve the world.” The last phrase indicates a person who demonstrates true concern about the world in which they live. Thus showing a strong regard for other people or animals or expression a sense of duty and honor is a definite plus for the Harvard admissions committee. 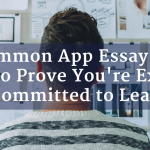 This is another perspective from which you might portray yourself in your essay—the hardworking, dutiful, kind, compassionate citizen-leader that they want and deserve to have, and the one that wants to be part of a like-minded community. But only focus on this aspect of yourself if you can do so authentically and honestly. The worst thing possible would be to lie or come off as disingenuous to the adcom. So just be yourself, your whole self, and nothing but yourself. Although Harvard gives no explicit word or character limit for the supplemental essay, most accepted students will write between 500 and 700 words (or about a page when written in Times New Roman 12-point font). This doesn’t provide you a lot of room to ruminate at length on your experiences or to write about multiple topics. Therefore, you need to focus on one aspect about yourself (or what the prompt is asking you to write about) and drive it home. 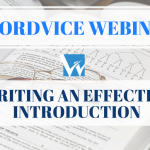 But don’t worry about getting it right on your first draft—write as freely as you can and work on re-drafting and revising your essay once all of the important elements have come to the surface. 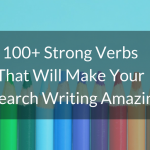 The more time you spend on the essay, the more polished and powerful it will be. 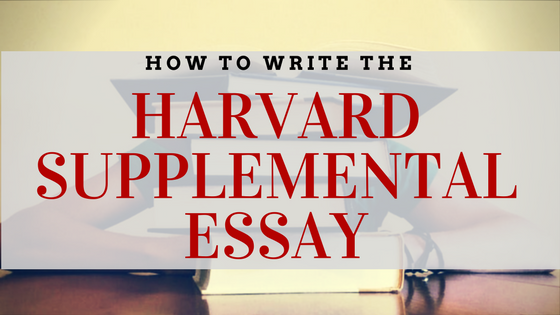 Visit Harvard’s admissions website for comprehensive guidelines on writing this essay. If you need additional help with this or any other admissions essays, feel free to visit our resources page for more tips and general writing guidance. Best of luck on writing this important essay!